Pick up in one cubic foot clear plastic bags. Pick up and fill your own containers. Bulk orders over one cubic yard (27 cubic feet). Dense leaf mulch. Pick up in one cubic foot clear plastic bags. Dense dark brown leaf mulch. Pick up and fill your own containers. Delivery available. Provides rich, nutrient content and also helps build carbon compounds (organic materials) that build soil structure. To Oak Park, River Forest and surrounding area. Buy the soil and mulch as a separate item. 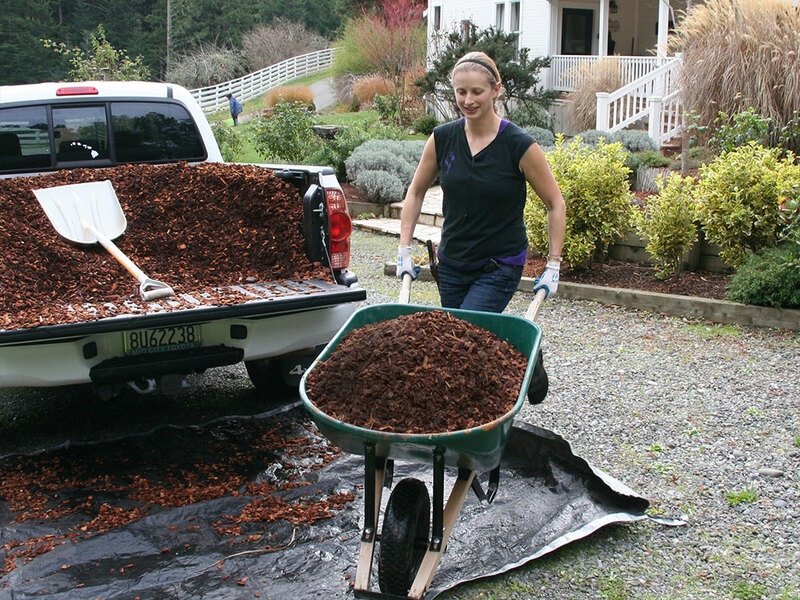 $60 to deliver a truckload of 3 cubic yards or less. Fill raised beds in Oak Park, River Forest and surrounding suburbs. Charge by the hour.